The Fair Debt Collection Practices Act or "FDCPA" is a federal statute that governs the debt collection industry. That means that it protects you as an Arizona consumer. The act was passed in an effort to create a civil environment in the collection of debt, as an attempt to reduce bankruptcy filings and to prevent unfair or abusive collection methods. The FDCPA covers any company that regularly collects debts on behalf of a client including collection agencies and law firms. IT DOES NOT cover the original creditor. 1. The debt must be a consumer debt: 15 U.S.C Sect. 1692a(5) requires that the debt in question be an obligation incurred for the benefit of the person, the family or household. Tax debt and business related debt don't fall under the protection of the FDCPA. 2. The plaintiff must be a consumer: This means a natural person not a business or other entity. Anyone affected by the activity can join in the lawsuit. 3. Damages: The consumer is entitled to statutory damages or damages prescribed by law in the amount of up to $1000.00. The consumer is also entitled to receive compensation from the collection agency for his or her actual damages, i.e emotional, physical, medical costs, accounting advice etc. Lastly, the consumer is entitled to receive his or her costs and attorney fees. Generally, this means that the attorney will litigate the case with no out of pocket expense for attorney's fees to the Arizona consumer, taking on the risk of litigation. a. Harassment - The collection agency can contact you and ask for payment but they cannot call too early or too late, or make repeated calls in one day. It cannot make embarrassing or abusive statements like "you are a deadbeat, a disgrace" etc. It cannot use profane or abusive language, shout or become angry. b. False Statements - The collector cannot lie or mislead in an attempt to collect. Some common examples: imply that the debtor may go to jail or has committed a crime, misrepresent the amount of the debt, state that the collector is an attorney, associated with a credit bureau, state they are going to garnish without explaining that a suit must first be filed and a judgment entered, or imply they are from the government. c. Improper Disclosure - The collector can't talk about your debt or even imply that you owe debt to family, friends, or co-workers. They can only contact family, friends and co-workers to obtain location information about you. In doing so they must id themselves, and can only call one time. They cannot use postcards to contact you. d. Threats: The collector cannot of course threaten you with any type of physical harm. It cannot use profanity, or threaten to sue unless it intends to do so and the action is legal. e. Contact after represented - If you have an attorney and have disclosed this to the collector they can no longer contact you directly. f. Contact after request to cease communication: If you write a letter to the collector and request that they discontinue the contact they must stop EXCEPT to advise you of their intent to take a specific action. g. They must notify you in a certain way about the debt: Within 5 days after the consumer is first contacted, the collector must send a written notice that tells the consumer the following: the amount, the name of the creditor, a statement that if the consumer does not dispute the debt within 30 days it will be considered valid, a statement that if the consumer challenges any part of the debt, the collector will obtain verification of the debt and that verification will be mailed, a statement that upon the consumer's written request within the thirty days, the collector will provide the name and address of the original creditor if different, a statement that the collector is attempting to collect and that information obtained will be used for that purpose. Further, Every new collection agency or company must provide its own notice. 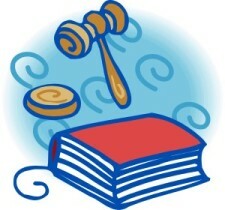 h. Unfairness Prohibited: The collector cannot add interest, late fees or collection charges to the debt, unless the original agreement or the law has authorized it. They can't accept, solicit, or deposit a post dated check in an attempt to create prosecution, or threaten to deposit a post dated check if it has been told that there is no money to cover it. i. Payments on Debts: The collector cannot apply payments to disputed debts and they must apply the payments as directed by the debtor. IF ANY OF THESE THINGS have happened to you, contact me. I will discuss the situation for free. 3 steps to take when being harassed or bothered by debt collectors. Debt credit Attorney Floyd Bybee specializing in Identity theft, collection harassment, and bankruptcy. Sued by National Collegiate Student Loan Trusts? Copyright 2006-2018, BYBEE LAW CENTER, PLC. This website is not meant to provide legal advice and is informational in nature. This website is not and is not intended to be an advertisement outside of the State of Arizona. Attorney Floyd W. Bybee is licensed to practice law only in the State of Arizona. No attorney client relationship will be established with BYBEE LAW CENTER, PLC unless a written retainer agreement has been executed.